Mayo's "Sugar" Ray Moylette will be aiming to break into the top 15 in the world rankings in Castlebar tonight while Cork's Gary "Spike" O'Sullivan admits that defeat would be a total disaster. Unbeaten Moylette meets Mexico's battle-hardened Christian Uruzquieta in his 12th pro outing in the main event with the vacant WBC International lightweight belt on the line at the Royal Theatre. The 28-year old Islandeady orthodox claimed Ireland's first World Youth title in 2008 and added a European Elite gold to his impressive Elite amateur CV in 2011. A number of debatable decisions went against him in his bid to qualify for the Olympics and he turned pro and won on his paid debut in March 2017. 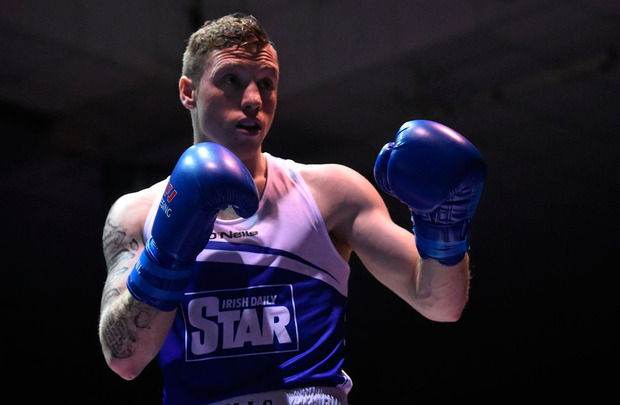 Less than two years later he's within striking distance of his first title on a 12-bout card also featuring his ex IABA High Performance team-mate Roy Sheahan. "Victory will bring me into top 15 in the world rankings which is massive. That will open many doors, said Moylette. "The phone will ring and people will want to take that ranking off me and I'll want to climb the ladder. I was sparring for a couple of weeks with world champion Anthony Crolla in Manchester for this." O'Sullivan faces Hungarian middleweight Gabor Gorbics looking to bounce back from a defeat to David Lemieux in a world title eliminator last September.